What configuration will let vim show the buffer/filename in the status line even when only one buffer/file is open? That's the filename on the left, with the ruler position and percentage through the file on the right (via :set ruler). How can I show the filename in all circumstances, even when there is only one file open? 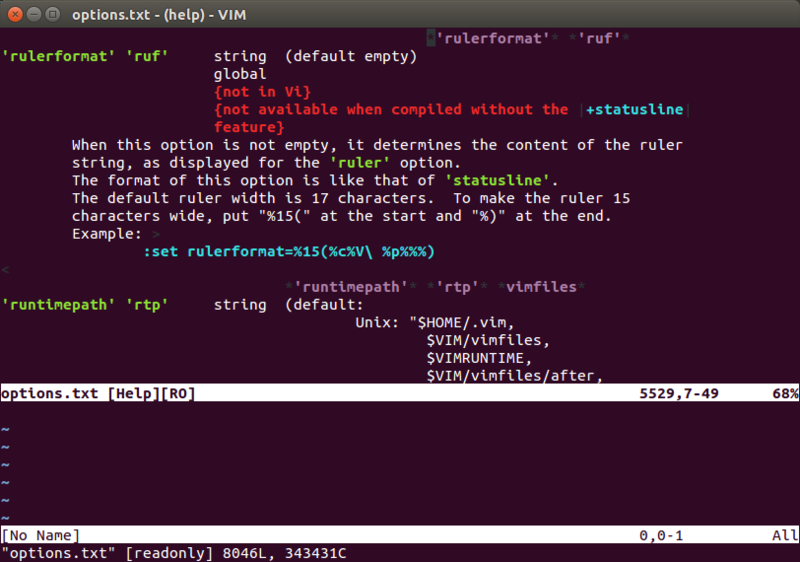 I actually think the very bottom line in vim is called "ruler", since it's enabled by ":set ruler". vim command that will do :buff or :e if the file is not already in the buffer?